Introducing your pet to new people may be exciting and fun. For dogs, however, it can be stressful if they aren’t used to seeing new faces. They may go into “stranger danger” mode and cower behind you or run away. Even worse, they may lash out with aggressive behavior. It’s best to tread lightly when letting them meet strangers. Let your pet enjoy new company by helping them get over their anxiety around unfamiliar people. Like other animals, dogs are usually more afraid of people than the other way around. Different factors influence this, especially dogs’ past experiences. For example, dogs who suffered abuse may find it hard to acclimate to certain people or situations. Pups like these will need a lot more treatment, training, and TLC. However, some dogs just haven’t had socialization training. Insufficient contact with other people beyond their household can also cause them to go into stranger danger mode and behave differently when meeting people. Socialization is important to dogs, especially when they are young. Anxiety from unfamiliar people can trigger aggressive or shy, nervous behavior. Your dog may also protect their territory and themselves by acting out aggressively against a stranger. Understanding the reason for your dog’s fear will help you manage it and form a treatment or training program. You should talk to your vet or a canine behavior specialist to form a plan that will work for you and your dog. Fearful dogs can become unpredictable. It’s important to avoid forcing them into situations that may worsen the feeling, as it can lead to biting or more serious reactions. 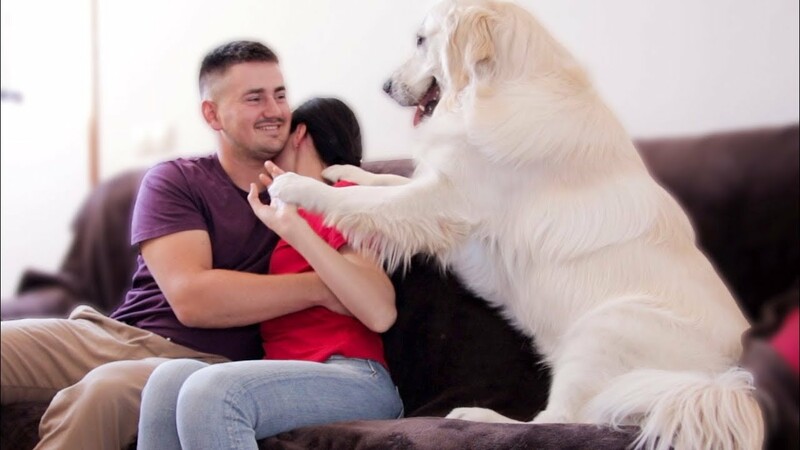 Have a place in the house where your pet can go to when they feel threatened, especially at times when you plan to have company over, like at parties and get-togethers. For your guests, give them a heads-up when visiting. If your guests do see or interact with your dog, tell them to avoid eye contact, as this can be intimidating. Don’t let them approach your dog quickly or pet them right away. Let your dog decide when to approach–never force or rush this! 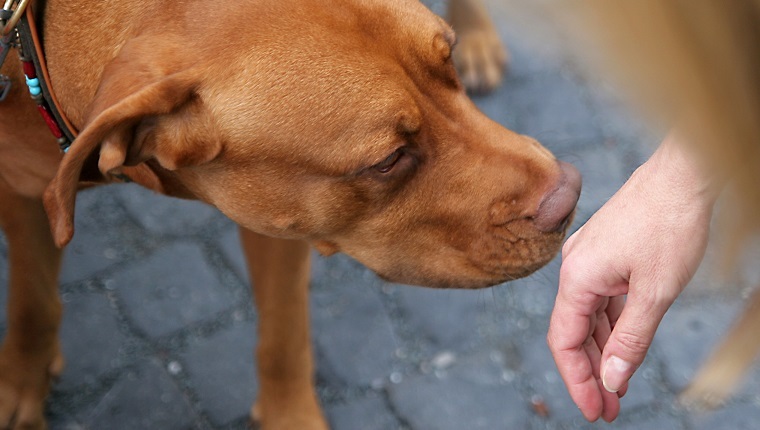 Reward your dog for a peaceful interaction every time so they come to associate meetings with positive rewards. Stress can overwhelm your dog, so you may wish to try training them to relax when meeting people. One way to do this is with a default behavior for stressful moments. A default behavior is an act that your pet can do when they become upset or overly-excited. 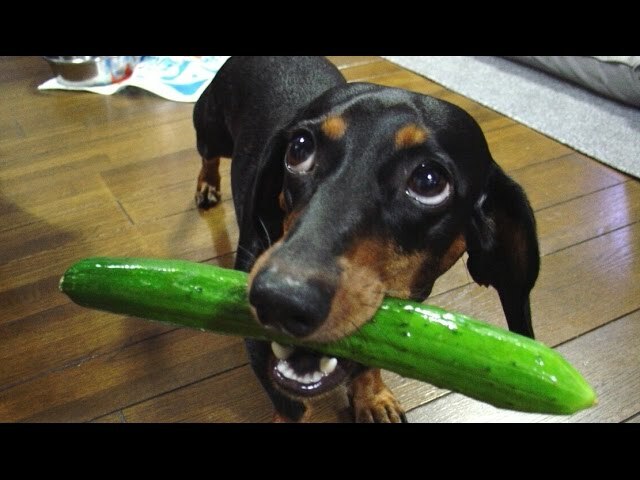 This will divert your dog’s attention and reorient them, even in an unstable environment. 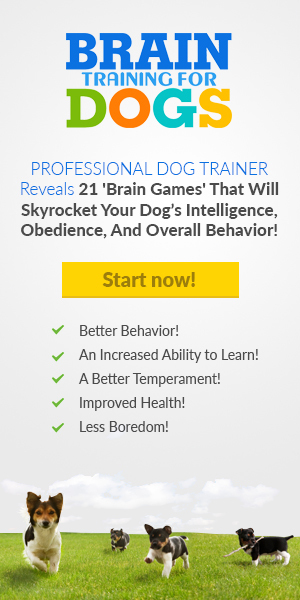 You need to train your dog if you want to develop a default behavior. Start working on a command such as “Watch me.” Reward your dog as they learn the behavior until they do it on command every time. Then, use the command when they seem frightened or nervous around a new person. When your dog looks at you on command instead of focusing on the stranger, reward generously so they will remember. Keep training this default behavior until it becomes an automatic response in the presence of strangers, and keep rewarding your pup. This will help them stay calm. A default behavior is one of many techniques you can use, but there are many methods for training away stranger anxiety. Just remember that it will take time and patience. Consult your vet and a behaviorist to develop an appropriate program to help your dog. Does your pet suffer from stranger danger anxiety? What default behaviors do you think will work for your dog? Share your pet’s story in the comments below!